Cruises versus resorts: How all-inclusive is your vacation? Cruises appeal to many travelers because they are considered all-inclusive vacations. Pay one price and receive accommodations, meals, entertainment, and transportation between island and port destinations. But once onboard, many cruisers find themselves shelling out hundreds of additional dollars for shore excursions, alcoholic beverages, and gratuities. What happened to their supposedly all-inclusive vacation? 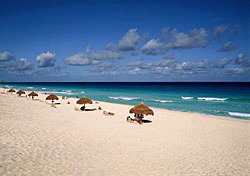 Many land-based resorts also refer to themselves as all-inclusive. Yet these properties offer a different set of included amenities. So what does it really mean to be all-inclusive? If you’ve been debating the merits of cruise and resort vacations, we’ve come to your aid. We’ve compared the all-inclusiveness and considered the pros and cons of both resorts and cruises to help you choose a vacation. Read on to find out which type gives you the better value for your money, and which is the better choice for your travel preferences. All-inclusive cruises and resorts tend to include different amenities in the base price. Book a mainstream cruise, and you’ll receive accommodations, all meals and snacks, certain beverages at meal times, use of the ship’s facilities (such as the pool, kids club, and fitness center), onboard activities and entertainment, and transportation between ports-of-call. You will have to pay extra for soft drinks and alcoholic beverages, gratuities, spa treatments, shore excursions, airfare, and airport transfers. Luxury lines may include gratuities and alcohol in their base price. On the other hand, book an all-inclusive resort package, and you’ll receive at minimum accommodations, all meals and beverages, nightly entertainment, access to the resort’s facilities, use of all nonmotorized water-sports equipment (such as snorkeling gear, sailboats, and windsurf boards), and gratuities. Many also include airfare and airport transfers, and higher-end properties, such as Sandals and Super Clubs, often include scuba diving in the cost as well. You’ll notice that much more is included in the resort price than in the cruise fare. Which is a better value? Just because a cruise includes less than a resort does not necessarily mean that it is not as good a deal. You are certainly getting a lot for your money, and with cruise lines offering specials as low as $300 or $400 per person, many travelers feel that they can save with a sea vacation. We asked Mark Venezia, director of marketing services for NLG and Vacation Outlet, which he thought was a better value. Vacation Outlet sells both all-inclusive packages and cruise vacations. For a seven-day vacation in January, he told us that you could pay $1,100 for a resort in Mexico or the Dominican Republic. Given that most resorts offer several restaurants and a variety of beach and water activities, most vacationers never need to venture beyond the resort walls during their week’s stay. You could also get a seven-day Caribbean cruise for about $600 on Vacation Outlet. That money will get you an inside cabin with no window and tight quarters. Add on tax, airfare, and airport transfers, and your bill will be close to $1,000. That price seems comparable to the price of a week at a resort. But if you want to drink soda or alcohol, go snorkeling or sailing, have a window in your room, or even explore part of the port that is not within walking distance from the docks, you’ll likely shell out hundreds more dollars. To really take advantage of a vacation opportunity, a cruiser will more likely spend more than a resort-goer. Are you a cruise or resort vacationer? Many kinds of travelers would be equally happy at a resort or on a cruise, but certain styles of vacations will get you better value for your dollar at each place. For instance, a cruise may be less inclusive and therefore more expensive than a comparable resort vacation, but if a resort vacation is not what you want, your trip will be less valuable to you. Who would enjoy each vacation style? Cruises are best for travelers seeking to explore several destinations and who want an extremely diverse array of activity options. A seven-day cruise stops at three to five islands and offers activities from horseback riding to parasailing and exploring historic sites. Cruises may cost more, but they are designed for travelers who want to get off the ship and have unique experiences at each port of call. You can certainly have a relaxing vacation on a cruise ship, but if you don’t plan on leaving the ship, you might find that your dollars go farther on a land-only vacation. In addition, cruises may also be better for travelers seeking a high-level of service. According to Venezia, while resorts offer excellent service, their employees tend to be locals, who may or may not have experience in the service industry. Cruise lines hand pick service professionals from all over the world, and a ship’s staff has more likely gone through extensive training on how to serve you best. On the other hand, resorts offer the best value for relaxing vacations. You can find a variety of included water sports and entertainment options to interest an active traveler, in addition to plenty of opportunities for sunning on the beach. And the best thing is that you’ll hardly ever have to take out your wallet. However, if you keep venturing from the resort to dine at local restaurants or explore other areas of the island, you won’t be getting the best value from your vacation dollars. In that instance, you’d be better off booking a room in a non-inclusive hotel or trying a cruise that calls at several ports. For multigenerational families, both cruises and resorts are good options. Both have kids’ clubs to entertain the little ones and a variety of activities to satisfy family members of every age. Just remember, Venezia advises, that when your kids think it’s fun to try virgin pina coladas, they’ll be free at a resort and between $5 and $10 on a cruise. Ultimately, the value of a vacation depends on the kind of getaway you’re seeking. If your focus is on relaxing and drinking, an all-inclusive resort will be the better option. If you want an active vacation and enjoy exploring different cities or islands, a cruise will be more valuable to you. Choose the type of vacation that most appeals to you, and you’ll have found the best value for your money.